How fast is your internet? Take the speed test. Ever wanted to know actually how fast your internet is? When people get “Up to 8MB broadband” they think they are getting 8MB when you most probably aren’t! 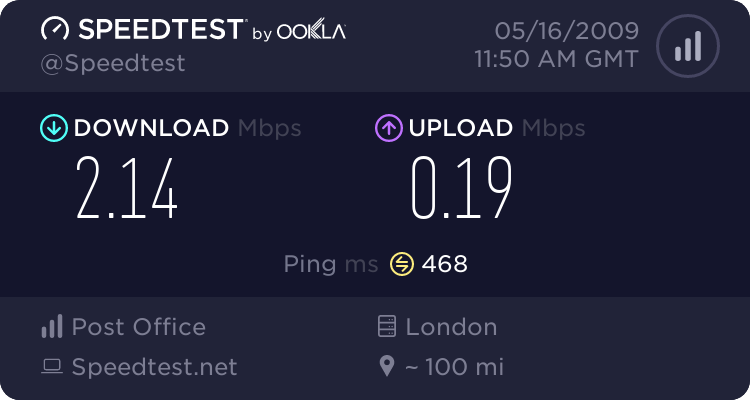 If you want to know exactly what speed you are getting then go to http://www.speedtest.net – It will test latency and download speed!